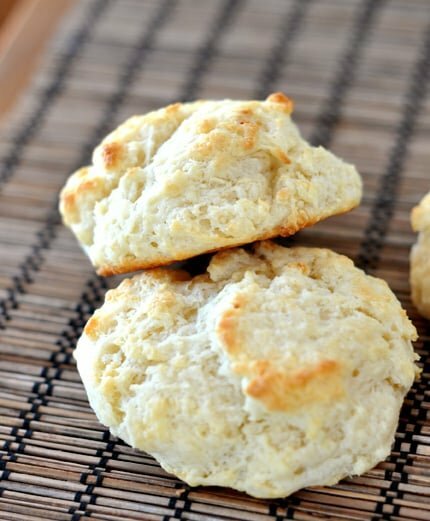 (These biscuits are SO light and fluffy. I was amazed. Mix dry ingredients together. Cut in margarine with fork, then stir in milk. Drop by spoonful onto parchment paper lined cookie sheet. Bake 15-18 minutes. Makes 6-8 large biscuits.